Lessons – LaSalle Music Academy Inc.
Académie de Musique de LaSalle Inc offers private lessons for a variety of goals and instruments. We take in students of all experience and skill levels, and will custom tailor a lesson plan according to each student’s specific ambitions and interests. Lessons can be 30-45-60 minutes. Our lessons are designed to give any player, beginner or experienced, a solid foundation in technique, music reading, interpretation and improvisation. Success in your playing is related to the time spent in practicing. You should allow a minimum of 30 to 60 minutes a day for practice. Serious students need to practice several hours a day. Whether you want to play classical nylon-string, steel-string acoustic, electric, lead or solo; our instructors will guide you through the learning process in the genre of your choosing. You will learn how to read musical notation, and apply this knowledge to learning scales, chords and fundamental theory. 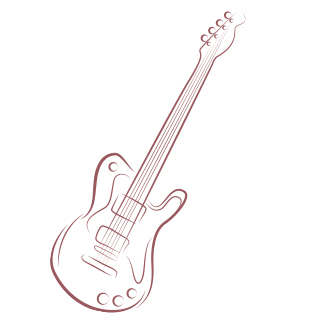 Learn to play your favourite songs on rhythm guitar, and learn the lead licks for soloing. The guitar is a dynamic and versatile instrument, and is one of the easiest ways to learn chord progressions and music theory. 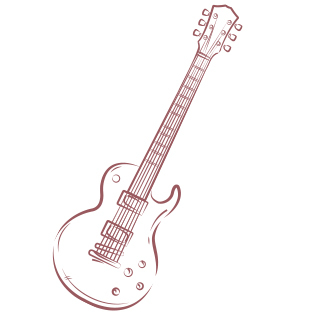 Our guitar instruction is available for any skill level, our experienced teachers are even well versed in polyphonic tapping and complex prepared guitar pieces. 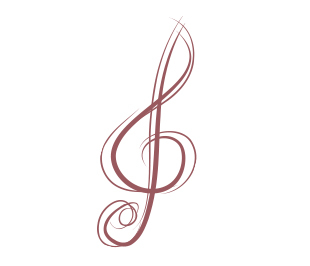 Widely considered one of the most important instruments in a band or orchestra. The bass is often responsible for linking rhythm with melody or chords. This double responsibility, and musical power, make the bass one of the most fulfilling instruments to play. We teach electric bass alongside a curriculum that teaches one musical notation, scales, and patterns. Of course we teach all the popular techniques including slap/pop and melodic harmonizing. Versatile and vibrant, keyboard instruments give a player an unparalleled control and expression over the music. It’s no question why it was the tool of choice for the greatest classical composers. These days, we teach piano, synthesizer or keyboard for all genres of music. 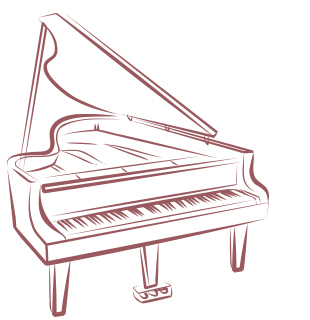 Whether you want to play Chopin or cover your favourite songs on the radio, we can help you get there. We also have a specialized program to help students prepare for examinations and auditions, including the Royal Conservatory of Music, McGill University and Cegeps. Lessons will cover notation reading, scales, theory, sight-reading, improvisation skills, songs, etc. Master of the rhythmic domain, the drummer has an encompassing responsibility that makes her/him an invaluable to music. 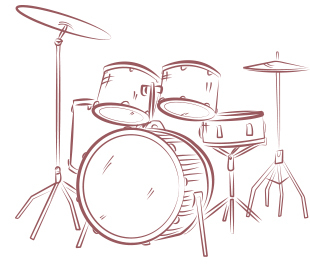 Our drum lessons cover all aspects of the drum set and range from beginning to advanced techniques. Our beginner instruction includes stick handling, rudiments, poster, rolls, triplets, rhythm patterns, paradiddles and groove. Intermediate and advanced lessons are based on student’s specific interest for example: polyrhythm, solos, double bass drumming and exotic meters. The violin, also known as a fiddle, is a stringed instrument, typically with four strings tuned in perfect fifths. 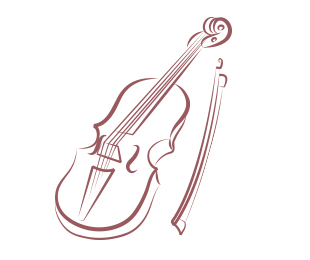 The tone of the violin stands out prominently above other instruments, because of this; it has historically played a significant part of the orchestra, often responsible for melodies. There are numerous techniques and styles related to the violin/fiddle. Our lessons cover notation, theory as well as posture, pitch production, vibrato, harmonics, bowing techniques, pizzicato, col legno, martelé, tremolo, sordino and more. The saxophone, or sax, is a woodwind instrument made of brass. It was designed this way to make it the most powerful woodwind instrument, and the most adaptive brass instrument. In essence it has the best of both worlds. 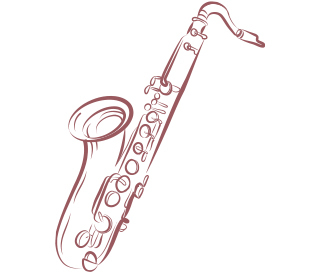 Our saxophone lessons cover: theory, notation, scales, pitch control, articulation, intonation, vibrato, soloing and much more. 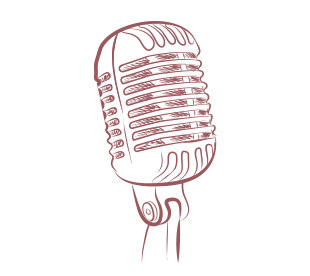 Our experienced teachers have the knowledge to help you learn how to sing and improve your vocal training. Our student’s vocal health is very important to us, that’s why we insist on teaching best practices and habits to keep your vocal chords and body healthy. We well cover all aspects of singing including the physiology behind vocals. Correct posture, phonation, vocal resonation (projection), diction, registration, sustention, legato, vibrato, coloratura. As we emphasize music theory, we can also instruct on sight singing and notation. For some composition is the pinnacle of music and their ultimate goal. Song writing is a complex art that involves a mix of creativity, music theory, instrumentation, arrangement and more. We will help you develop your skills as a song writer and composer. Whether you just want to write acoustic guitar jams, or complex orchestral arrangement, we can guide you through the process. Record your songs in our recording studio. Composition lessons can include arranging, notations, music theory, developing colors for your songs, as well as information on how to distribute and package your material to publishers and fans. In 2013 Académie de Musique de Lasalle Inc started offering DJ and Production lessons taught by highly qualified, established professionals. They performed in many festivals and nightclubs, and their well-trained musical productions are also featured on major labels. Production lessons are taught using Ableton Live, a commonly used software by the majority of current artists.